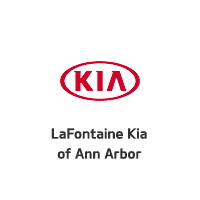 Looking for a used or certified pre-owned Kia SUV near Ypsilanti, LaFontaine Kia of Ann Arbor can help. Keep an eye out for popular used models like the 2015 Kia Soul or the 2014 Kia Sorento, then stop by our showroom near Saline to see why buying a Kia SUV used is a budget-friendly option. Why Buy a Kia SUV Used? Quality: Vehicles today are being built to last longer than ever before, with expectations lasting well beyond the 100,000-mile mark. A used Kia Sorento is no exception to this. Avoiding Depreciation: Kia used cars, along with all other vehicles, experience depreciation every year. A brand new vehicle, however, can lose more than 30 percent of its value in the first two years of ownership. Which means buying Kia used cars can save you more in depreciation in the long run. More Feature for Less: While Kia vehicles already pack a range of features like UVO infotainment and Apple CarPlay™ into them for a reasonable price, the top features and upgrades become even more affordable when looking at a used Kia. Awards: In fact, the Kia Sorento was ranked the “highest ranked midsize SUV in initial quality, 2 years in a row” by J.D. Power. The 2018 Kia Sorento also experienced the lowest rates of problems reported by owners of midsize SUVs during the J.D. Power 2017-2018 Initial Quality Studies. And with the Kia used car warranty, you don’t have to worry about maintenance coverage. No matter whether you’re buying new or used, you’ll be getting behind the wheel of a quality Kia SUV. Learn more about your leasing or financing options with us and take to the Dexter roads in style. Contact us today with any questions!